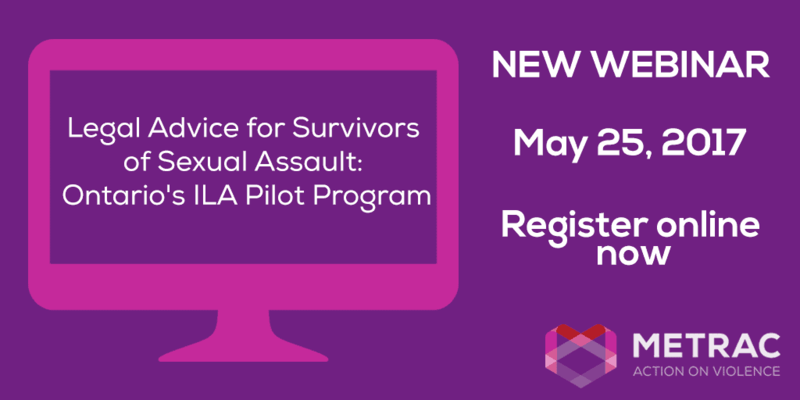 This webinar in the Family Law Education for Women (FLEW) series reviews the pilot program that provides free independent legal advice (ILA), for survivors of recent and older cases of sexual assault. This webinar covers who can get free legal advice and what questions a lawyer can help with. METRAC’s Legal Director, Tamar Witelson, co-presents with sexual assault lawyer, Karen Bellehumeur of Jellinek Law Office, Toronto/London.